Comprehending how to trade-in a car will certainly simplify your next brand-new or used vehicle purchasing process. The goal of any type of car trade-in is to obtain the best offer for your car and apply that cash towards your next vehicle purchase. Discovering how and where to get the very best value for your trade-in can be frustrating however we’ve got the tips to assist you. We have created a list of questions concerning getting the best value for your truck, car or sport utility vehicle to help you through the process. 1.Where can you get a cost-free assessment? 2.Can One trade a car, truck, or SUV with mechanical issues? 3.How to learn your car, truck, or SUV’s present market price? 4.Where can you trade in a car or truck? 5.What about trading a car still under loan? 6.Can one combine incentives with a trade-in? 7.Are there any legal problems with your title? 8.How to get the very best bargain? Q.Where Can You Get a Vehicle Evaluated? One of the easiest methods to get a precise worth for your trade-in is to have it done by the dealership. 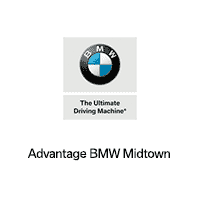 They know the methods and expertise to get you the best worth for your trade-in. However, we know the # 1 concern most car, truck, or SUV customers have about dealerships: why would a dealer want to give the greatest worth for your car, truck, or SUV trade-in? Put simply, car dealerships have 2 key goals: gaining your patronage and maintaining your business. Buying cars is seldom a concern for private vendors and privately owned car lots are not nearly as concerned with repeat business as car dealerships. So, offering a reasonable and honest value for your trade-in is always in a car dealer’s long-term benefit. Q.Can you trade in a car with issues? Most of the time you will not have an issue trading in a car with mechanical troubles. However, But there are exceptions to this concept. If your car received considerable damage and the insurance company considered the vehicle a total loss, you may have problems trading it in. Cars can be given a salvaged title for reasons like an accident that required expensive and considerable repairs or if there was flood damages. At the very least your trade-in value will be reduced if your car has a salvage title and some auto dealerships will certainly not accept cars with a salvage title at all. Be careful, your state’s laws may require you to inform the car dealer of this information. The appeal of online car history reports makes this details conveniently accessible, so be truthful. Q.How to get the best amount when trading in my cars and truck? The fact is, there is no magic formula for getting the highest amount of money when trading in your car. We do have a couple of suggestions to assist you in maximizing your trade-in value. First, understand the market value of the car you are trading in. Let your sales specialist know you have a trade-in you would like to get evaluated, so they can figure the numbers directly into the paperwork. Finally, not all trade-in offers are produced equally. For example, if the car dealer offers $7000 trade-in value for ‘Car A’ then offers $5000 trade-in value for ‘Car B’, the trade-in on ‘Car A’ is clearly worth more cash. But is it the most effective offer? The answer is: possibly. Car Dealerships can sometimes discount cars or trucks that have not sold quickly. If ‘Car B’ is selling for $2000 less than the appraised value, then the trade-in offers on your vehicle are virtually identical. Q.Where can I trade in my car? While there are many options to choose from, car dealerships offer the ease and purchasing power to get you a lot on your trade-in. Q.Can you trade in your vehicle if you still owe on it? This situation happens when the trade-in amount is lower than the financing worth of your car, truck, or SUV. Not all choices operate in every scenario; so it’s always a good idea to speak with your sales specialist and let them do all the leg-work for you. New cars, trucks, or SUVs usually have special deals or incentives attached to them. A ‘leftover’ brand-new car, truck, or SUV from the previous year will usually have large incentives in an initiative to make room for the current models. If you have a lot of negative equity, this may be your best opportunity at trading in your car, truck, or SUV. Be sure to get in touch with the dealer’s finance supervisor to aid you in discovering the very best remedy to your circumstance. If your trade-in car or truck has negative equity, a cash down payment could be required. Q.How do you sell a vehicle that’s not in your name? Can I sell a car, truck, or SUV if the title is not in my name? The quick answer is: perhaps. This is another subject that can be challenging, however the very first point you need to do is consult your local DMV. Trading in a car, truck, or SUV that is not labelled in your name could be prohibited, so it is best to understand the legislations in your state. There are additionally legal scenarios where you could sell a car not titled in your name. Let’s review all the circumstances where this could apply. You can trade in your vehicle if it was a present, however the title remained in someone else’s name. First, you would require the signature of the person named on the title. Second of all, Depending on regional regulations you might need power of attorney or a legal record to complete the trade-in. Your best bet is to talk to the regional DMV to understand what is needed. If the car’s owner has died, the executor of the will must have the capability to offer the car, truck, or SUV for the estate. Again, contact the regional DMV to understand the actions to complete the process. Q.How to Get the Biggest Deal When Trading In Your Automobile? There are a lot of variables to take into consideration when you are considering trading in your automobile and that is why it is always a great idea to ask the auto dealer’s financial supervisor questions. Any type of experienced financial supervisor would certainly welcome the opportunity to answer and address every one of your problems. New and Certified Pre-Owned auto dealers offer the benefit of ‘one stop shopping’. To get a customized trade-in value on your car, call our highly-trained sales specialists or simply drop in and obtain a customized deal today.